With the announcement of iCloud, a fully-fledged cloud service, Apple considers the importance of constant updates and innovations, and is said to take the wraps off a refreshed iCloud service at this year’s WWDC. The move is also said to be strengthened with the Microsoft and Google’s recently presented cloud-based services- SkyDrive and Google Drive. The sources familiar with the subjects claim that the advanced iCloud type of service will allow image share and comment ability to users, just like Apple’s favorite Instagram. Moreover, users will also be enabled to synch Videos to iCloud. 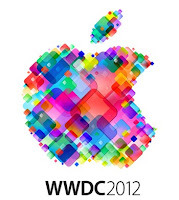 The advanced features will be introduced at this year’s world-wide developer conference, commencing on June 11th when Apple usually announces the new and exciting technologies, products and features. This year the Cupertino Company is strongly believed to shed a light on its upcoming iOS 6 and the augmented iCloud service with new, vaguely Instagram-like features. What iCloud offers now is the ability to store a set of photos, but there is no existing sharing infrastructure prepared for those with an interminable need to share the whole kit and caboodle. It is quite hard not to mention Instagram once more- with all the mess and a war between Android and iOS Instagram users, many iOS customers are quite likely to shift their whole gallery in an upcoming updated iCloud service. Have you heard any other rumors of what WWDC will bring? If so, do not hesitate to share with us below in the comments.